Washington, Jan 25 (IANS) An Indian American doctor has been arrested for allegedly trying to strangle his nurse with an elastic chord as he was angry with her for giving medication to a patient at a “wrong time”, the police said. 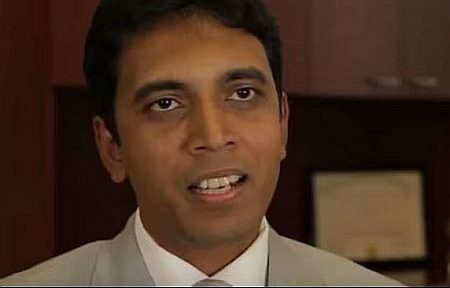 Venkatesh Sasthkonar, a 44-year-old doctor who specializes in weight loss surgery at Nassau University Medical Centre, was charged with strangulation and assault. He denied the accusations, the New York Daily News reported on Wednesday. Sasthkonar ripped an elastic cord from his sweatshirt and wrapped it around the 51-year-old nurse’s neck during an argument at the East Meadow hospital on January 22, the police said. The attack left the nurse gasping for air after the doctor reportedly took exception to the nurse giving his patient medication at the wrong time, Newsday reported. “I should kill you for this,” Sasthkonar allegedly told his victim. The doctor left the hospital but returned hours later and was arrested. The victim, who was not identified, suffered “substantial pain to her neck”, the police said. Sasthkonar was suspended pending the investigation’s outcome, the daily reported. His lawyer, Melvyn Roth, claimed his client “meant no harm and was only joking”. He said the charges were “overblown”. “He just wanted to let her know that she had done something that was not according to protocol,” Roth told the Long Island paper. On Tuesday, the doctor was released on a $3,500 cash bail. He has been practicing at the hospital since 2008.